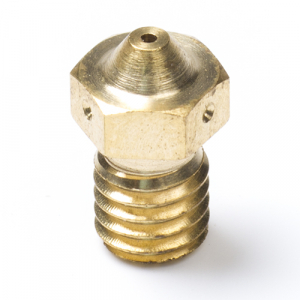 E3D 0.80 mm replacement nozzle made of brass for 1.75 mm filament. 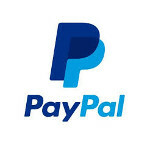 Compatible with E3D v6 kits, general purpose nozzle for PLA, ABS and PETG. The internal geometry of v6 Nozzles is optimized to reduce back-pressure, this ensures smooth, easy flow of filament whilst improving the effectiveness of retractions. The bottom flat surface of the nozzle which flattens down the layer is custom to each nozzle size, for small nozzles a small nozzle tip gives you high precision. On the larger nozzles, a nozzle tip assists in the smooth printing of larger layers. The brass nozzle are by default included in the E3D v6 kits. You can swap out the nozzle for a different output size.